Phantom overprint: $62.50 Setup, 1-color only, must match imprint color, all sheets alike. Basic custom imprint setup & PDF proof included! This 12-sheet Display-A-Month desk pad calendar features a clean and simple design with large date blocks for daily notes and memos. 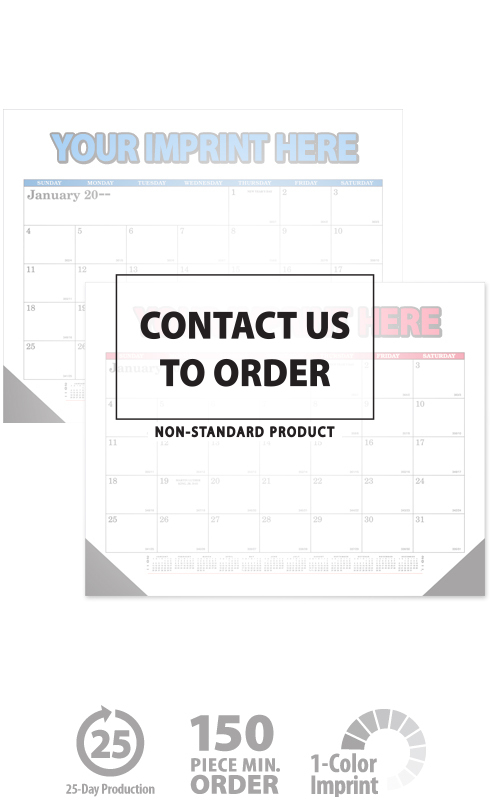 This desk pad calendar includes every sheet imprinting a black corners. 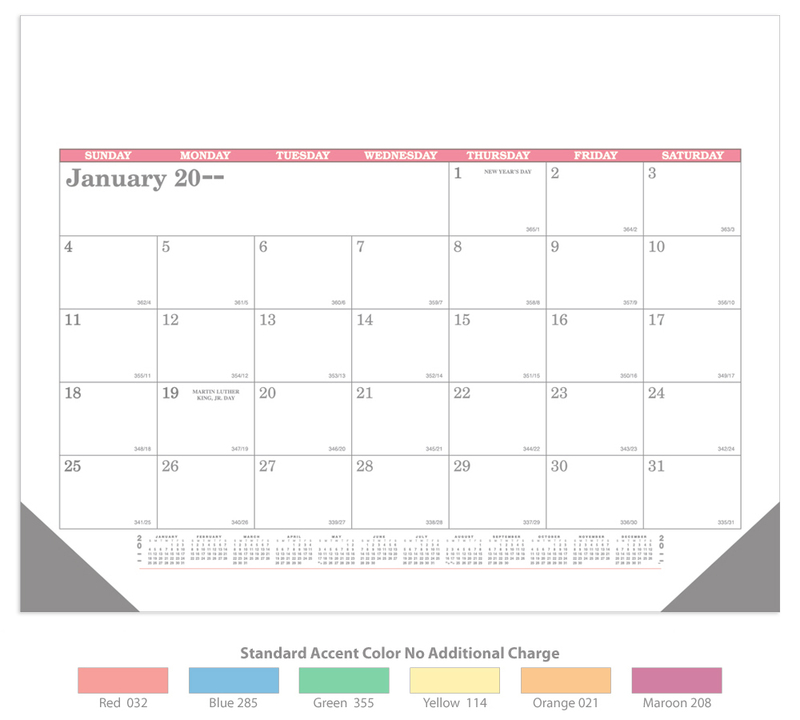 Calendars are imprinted in black ink, plus the accent color chosen for the calendar.